Not all travel or travelers are created equal. 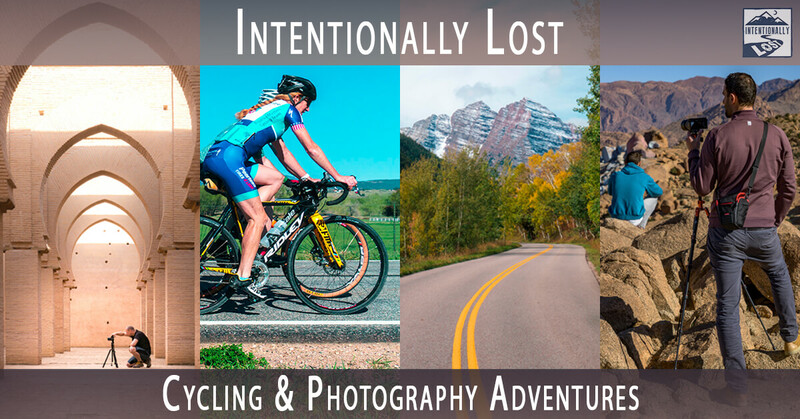 When Intentionally Lost founder Kevin Wenning couldn’t find an organized cycling vacation that supported his passion for photography he decided to create his own. Do you ride? Do you practice, or are you learning photography? 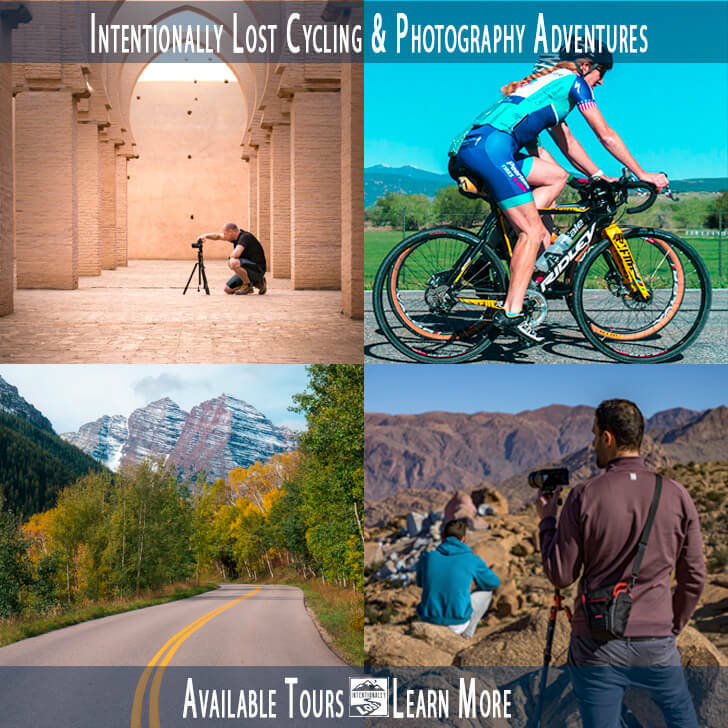 Then you might appreciate a bike tour organized for cycling and photography enthusiasts. All tours are fully supported with vans and staff to carry your luggage and camera gear. 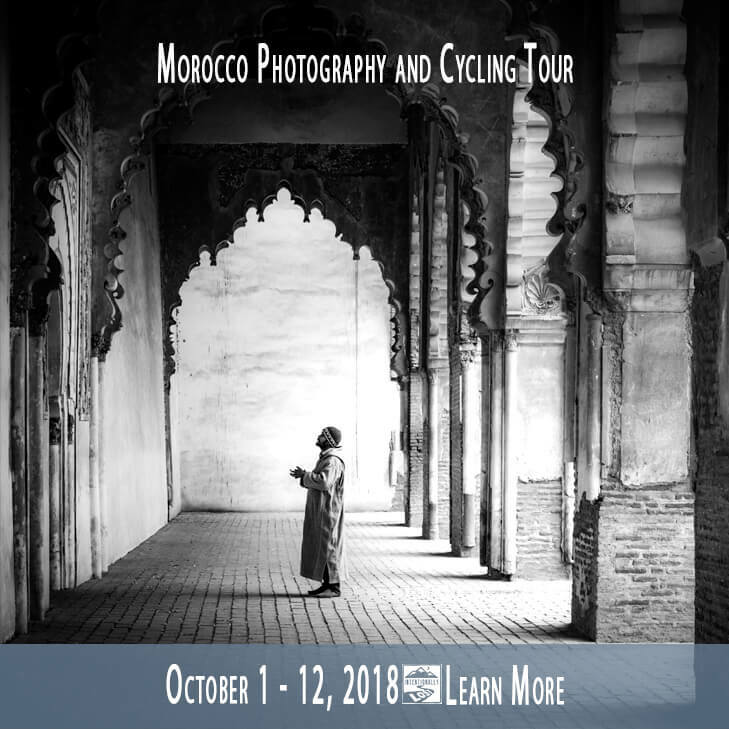 Bike photography tour itineraries include moderate to challenging rides, photography stops in the morning or evening of each ride day, and rest days to photograph, relax, or review and edit images. All levels of photographers and riders are welcome. You don’t have to make photos that win awards or ride competitively to enjoy these trips. Cycling routes are designed to appreciate the landscape and the location; not to crush your distance and elevation ride stats. 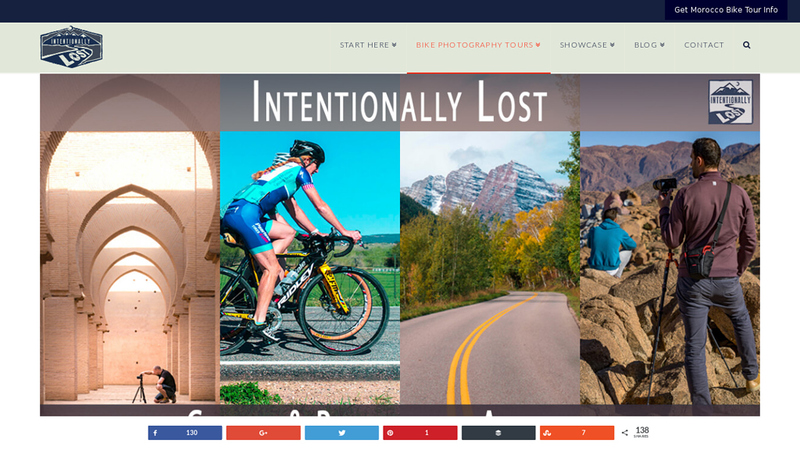 These bike photography tours are “athliesure” travel. You should train before going on a trip, but you won’t need so much recovery time that you can’t enjoy the photo stops. Recreational cyclists will enjoy their days on the bike and still have enough energy to enjoy the time that is set aside for photography. So what is the photography like? This is not a cycling tour where you breeze through tourist stops with a camera in your jersey pocket and take some snapshots during lunch. Time is dedicated each day to explore unique locations with your camera, and photo instruction is included in the tour cost. Ride for escape and adventure; not for stats or bragging rights. You don’t want to just go somewhere, you want to experience it. Instead of choosing whether to spend your holiday on a cycling vacation or on photography travel, combine them both into one trip. 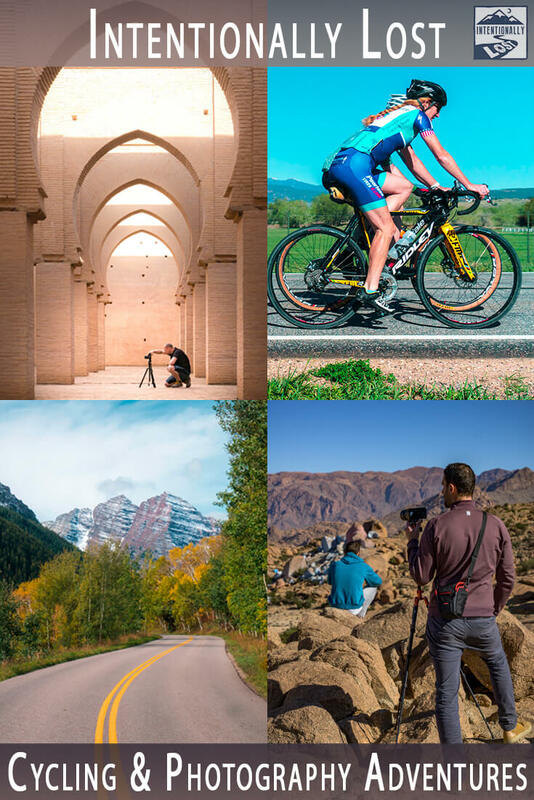 Have your active vacation and stimulate your creative energy at the same time with a group of people who share your passions for travel, cycling and photography.